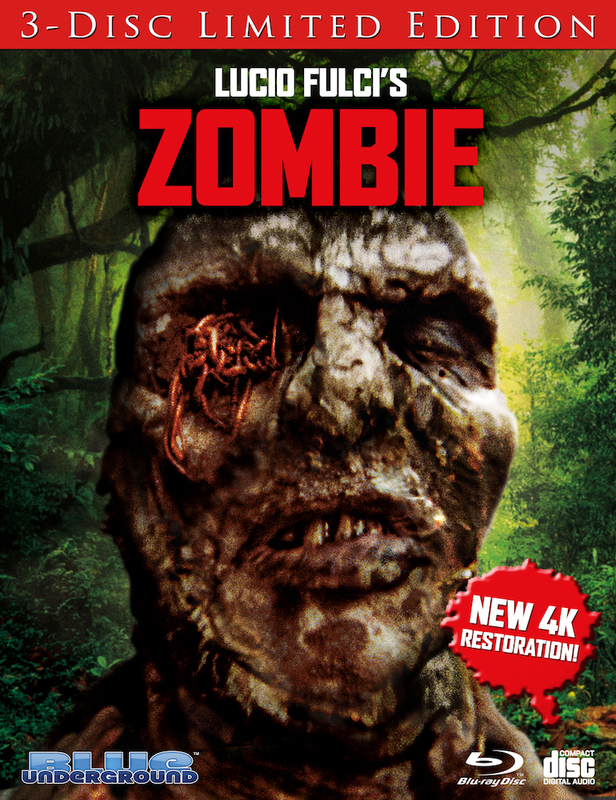 The good folks at Blue Underground have released ZOMBIE in a brand-new 4k restoration, 3-disc collector’s edition (2 blu-ray discs and a CD soundtrack) that rivals the work that Criterion puts into their home video releases. No kidding around: the 4k restoration is absolutely GORGEOUS!!! ZOMBIE has never looked better. Fulci’s zombies are some of the most disgusting creatures ever seen on screen and on this Blu-ray, every gruesome detail right down to the worms coming out of their eyes is pristine. I was also able to really appreciate Fulci’s camerawork and compositions, which help to elevate this film from the many run-of-the-mill Romero knock-offs. The 3-disc collector’s edition of ZOMBIE is loaded with extras. You can start things off with a brand-new introduction from ZOMBIE fan and film director, Guillermo Del Toro (Del Toro also has a nice piece about his love for this movie). 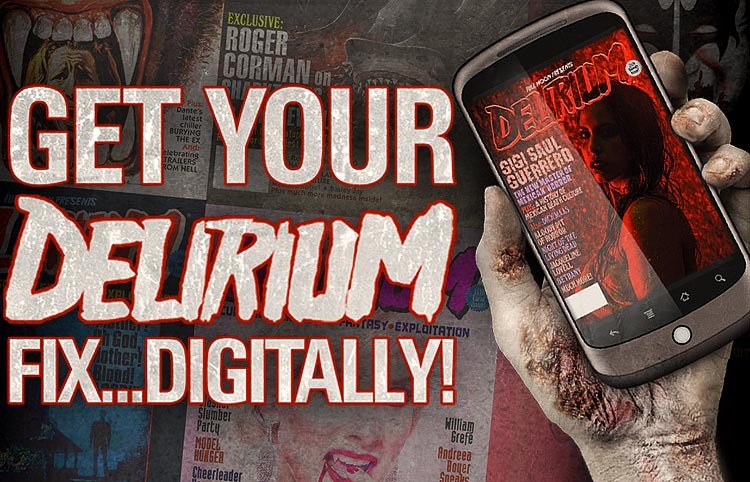 You also have two awesome commentary tracks to listen to, a new mini-doc about Fulci and his career, along with a second blu-ray disc jam-packed with interviews and mini-docs. Don’t worry, you’ll also find trailers, TV spots and even some radio ads for the film. Literally, this collector’s edition has it all. 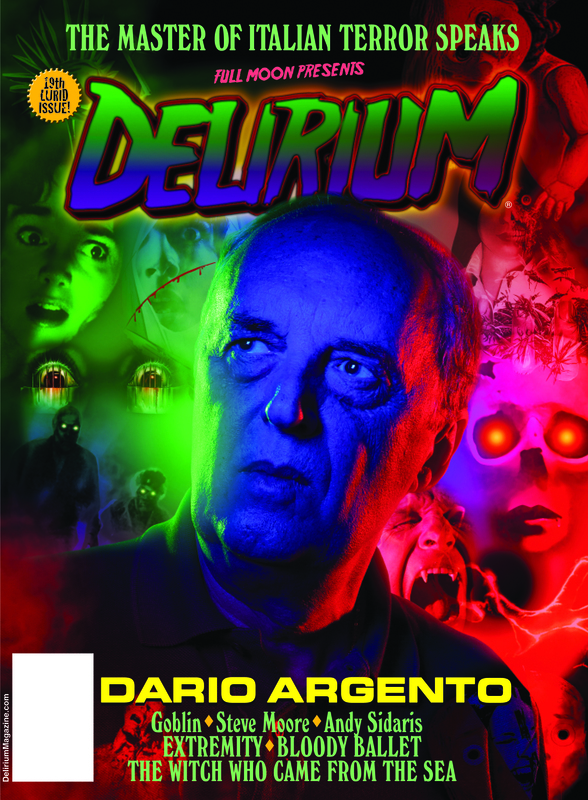 If you’re a Fulci fan, zombie fan or simply a fan of horror, this is a must-own blu-ray for your collection.